Don’t be afraid. They are humans just like you. 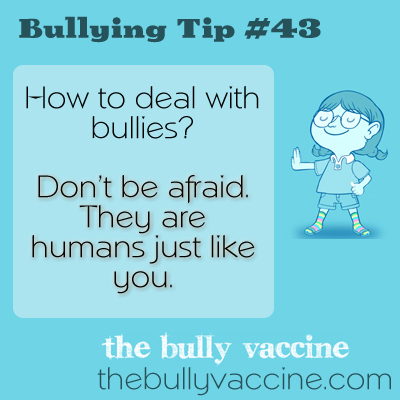 The key to dealing with a bully successfully is to understand that they are frail and insecure, just like you.